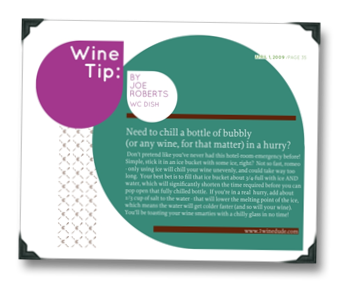 A very quick blurb to let you know that the latest edition of Chester County Cuisine & Nightlife has hit the stands. This month’s issue (August 2009) includes a piece that I wrote in late 2008 on Penns Woods winemaker Gino Razzi. CCC, masterminded by WCDish.com co-founder and irrepressible Philly-area foodie Mary Bingham, continues to improve with every issue and seems like it’s really starting to hit its stride. And best of all, it’s FREE. So if you happen to find yourself in visiting, living in, or mysteriously waking up somewhere in Chester County, PA, be sure to grab yourself a copy or two, or hit the PDF after the jump for a tree-friendly version! 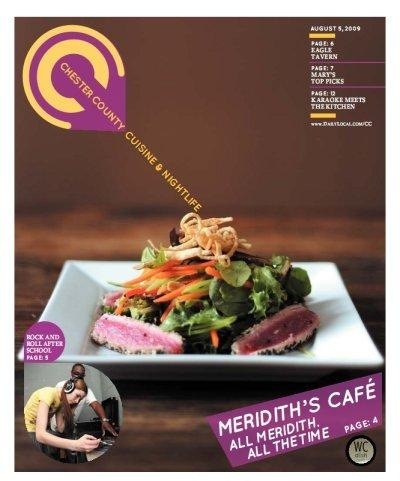 Issue #2 of Chester County Cuisine and Nightlife Now Available! 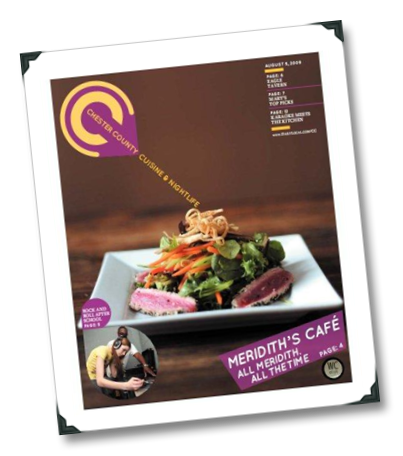 The second issue of Chester County Cuisine and Nightlife is now available! 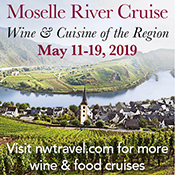 For those of you in Chester County, PA., there is quite a bit of excellent information in this issue on the local foodie & nightlife scene, but those of you in other areas of the planet might find some of the content interesting as well. 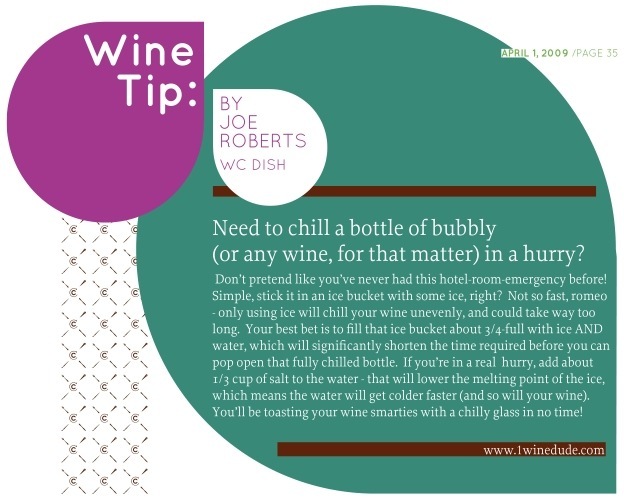 I’ve contributed a small tidbit to CCCN #2, with a wine tip that might come in handy for some of you so I’ve included it here as well. Who knows, it could just save your date night sometime (you an thank me later). You can download the latest issue of CCCN from the DailyLocal.com website.